American City Pest & Termite, Gardena, Calif., has acquired East Los Angeles, Calif.-based Frank & Son’s Exterminators. Terms were not disclosed, but this deal will add more than 400 monthly pest customers — as well as termite revenue for an approximate addition of $600,000 annually to the steadily growing, $4.6 million, family-owned business. 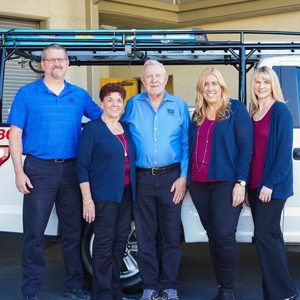 Founded in 1979 by Ziemke’s father, Jim Shockey, American City Pest has been buying at least one company per year for the past six years — including Class Termite, Pug’s Bugs and Wise Pest Control, to name a few. “Along with acquiring companies, we are equally focused on growing organically by concentrating on customer referrals, internet advertising and other forms of marketing as well,” says Ziemke.